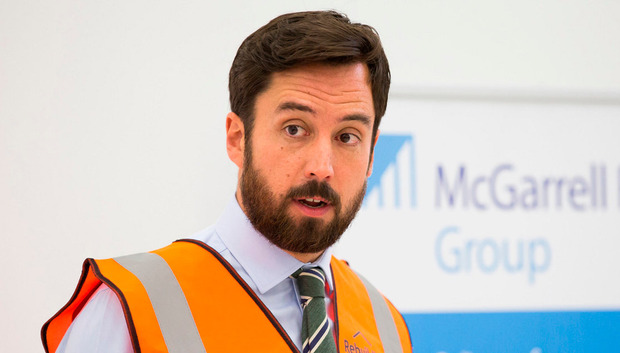 Housing Minister Eoghan Murphy said he was "furious" to see people ignore the warnings of emergency services and do activities like swimming and wind-surfing. Despite Met Eireann issuing a nationwide Status Red warning as ex-Hurricane Ophelia battered the country yesterday, some people still ventured to beaches and piers. As footage emerged of people swimming in choppy waters, the Coast Guard responded to several call-outs and were forced to issue repeated warnings pleading with the public to stay safe. Fine Gael representative Murphy said that he was angry to see some people ignore expert advice. 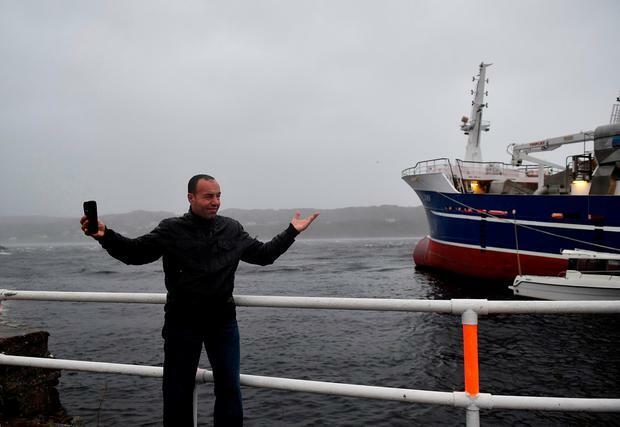 He told Newstalk Breakfast: "Personally that made me furious, we were in here trying to co-ordinate the emergency response, we were in here doing everything we could to protect people from the dangers this storm was posing. "So the idea that people would knowingly put their own lives at risk, and at the same time the lives of our emergency rescue services who were going to have to help those people, it really wasn't something that we were happy with when we were trying to deal with the rest of the country." There have been some calls for people who knowingly put their lives and those of emergency service personnel at risk to be sanctioned, which Murphy said he would be in favour of. He said: "Of course there were people asking what kind of sanctions there could be for these people. "There are going to be future weather events and while we have to coordinate an emergency response we have to make people see that they are putting other people's lives at risk and they are tying up the emergency services. "A penalty would be something that I would be happy to consider given what we saw yesterday during a crisis that we were trying to manage." He also defended the Government's decision to keep all schools closed again today. 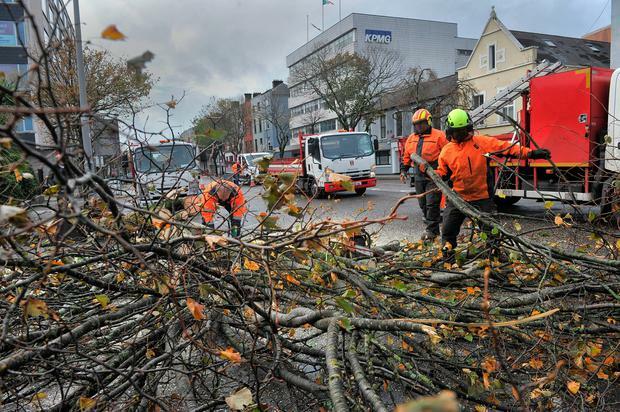 He said: "Dublin wasn't as badly hit as other parts of the country but it was still badly damaged, we can see that from the photos of large trees fallen. "Other parts of the country were worse hit and there will be issues today like trees blocking roads, fallen electricity wires and structural damage to schools. "We have to put child safety first, while the storm was still raging outside we felt it was important to put child safety first. "That was foremost on our minds."